An (Almost) Healthy Chocolate Cupcake! Posted at 11:11 pm by Yummytums! Let me be honest from the start. I adore chocolate. I crave it, but I also want to maintain a healthy weight. So I’ve searched for a chocolate indulgence that doesn’t make me feel like I’ve just wasted my hour at the gym. Finally, I think I’ve found it! Add the boiling water and cocoa to a blender and mix together, then add the dates, rice syrup, salt and vanilla extract and mix until smooth. The consistency will be a little thin, so you have to refrigerate the icing until it gets thick enough to spread. The icing doesn’t taste like dates; the dates just give it a thick, rich taste and good texture. 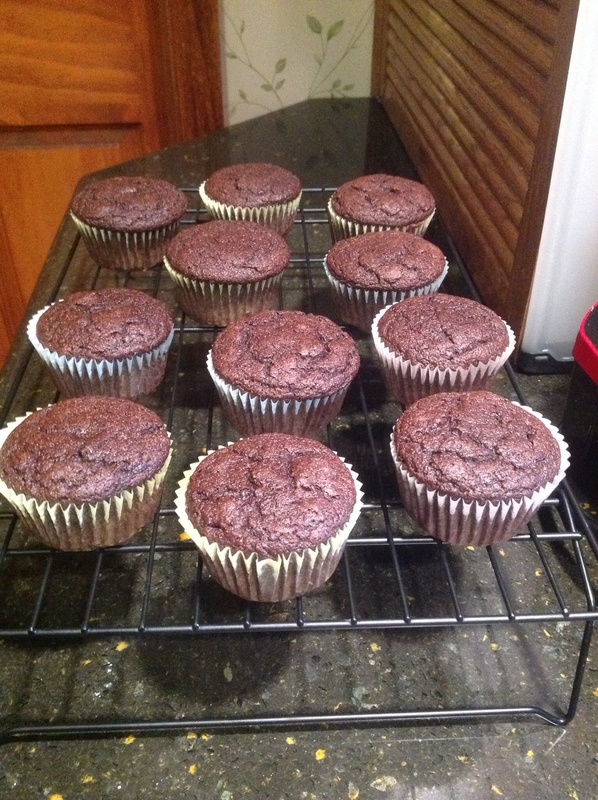 So the next time you want an (almost) healthy chocolate cupcake, give this recipe a try!